AATE is a primary advocate for theatre education and theatre for young audiences in America. State Representatives of AATE advocate on a state and local level and keep our members aware of issues and events happening at the state level. Nationally, each year, AATE serves on the Legislative Planning Committee for National Arts Advocacy Day and attends alongside fellow national arts advocates to make legislators aware of the benefits of a complete and sustained education in the arts. AATE is also a member of Americans for the Arts Arts Education Advisory Council and the Arts Education Partnership Steering Committee. Is the future of arts education in this country is clear? As theatre artists and educators, we have high hopes that the attributes of a comprehensive, sustained education in theatre including its emphasis on 21st skills such as collaboration, creativity, problem solving and communication will be enough to secure our future. Perhaps, the direct correlation of learning in the arts, particularly theatre, and accelerated test scores and graduation rates will be enough to make policymakers notice and appropriate funds to sustain our field’s good work. Or maybe it’s the love of art; the single piece of theatre that attracts a child or the drama class that encourages a young inner city girl to learn a monologue rather than join the gang that lurks locally. It will take all three plus one vital factor: more of us. We arts education advocates will stop at nothing to (1) articulate the value of an early and robust education in the arts in creating a well-rounded, globally conscious and civically responsible society and (2) motivate change. We do this well, but we need more advocates if we can even hope for a bright future. Please join our collective of educated, articulate advocates as we fight to make a place for theatre in every young person's life in America. New to advocacy? Check out the WHO, WHAT, WHERE, WHEN and HOW for getting started on your mission to raise the awareness of the importance of theatre education. Find templates, tips, tricks and tried-and-true techniques for making the case for theatre and education. 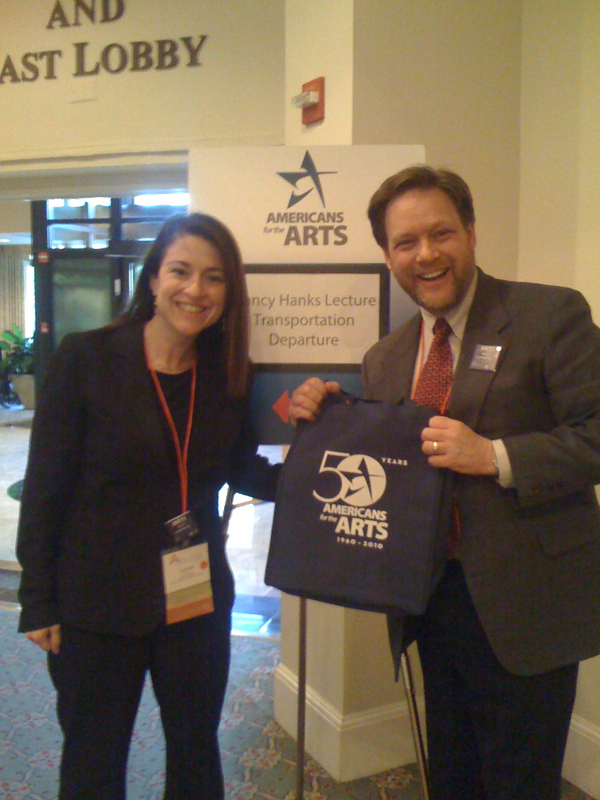 Find the arts alliance or theatre organization in your state where you can find important information such as issues facing arts education at the state level, events to attend, how to get in touch with your local policy makers and moreArts HappeningsUp-to-the-minute news with what's happening with legislative issues at the national level. March has been officially designated Theatre In Our Schools Month (TIOSM), the time for advocating for and celebrating the great benefits of theatre education for youth development. The purpose of TIOSM is to raise awareness of theatre education's power not only to raise SAT scores, reading comprehension, and academic achievement, but also to stimulate innovation and creativity among students, the very foundation of America's rise to greatness. This is also a time to remind our country’s citizens that all students should have access to quality theatre education in their lives. ResourcesHere is a list of national resources that can help you. We are not alone - there are fantastic organizations that make it easy to contact your legislators, get a proclamation passed and other cool advocacy action steps. Alongside our State Representatives, AATE members collaborate on ways to advocate - come together to voice a louder message. The committee meets via conference call four times per year. For more information contact AATE.